ABOVE: The technical, "draughtsman style" of graphics in our Tournament Edition Pro-Guides (printed to our 100% immersion waterproof/tearproof All-Weather specification). Precision surveyed using the latest GPS & laser techniques, our guides are PRINTED ON DEMAND enabling us to provide small minimum quantities and frequent opportunities to update the book with any course alterations. You need never disappoint a visitor with an out-of-date guide again. Nor will you need to be concerned about finance. With Pro-Guide it is possible to achieve virtually budget-free profit, so small is the outlay. And the advantages don't stop there. We can also provide CONGU certification of measurements for your course, assist with the planning and setting out of any distance related course furniture as well as free web graphics for your club's site. If that sounds good, it gets even better - our digital, print-on-demand facility also allows us to offer customised versions of your guide enabling you to enhance and add value to company days and special events at your course. 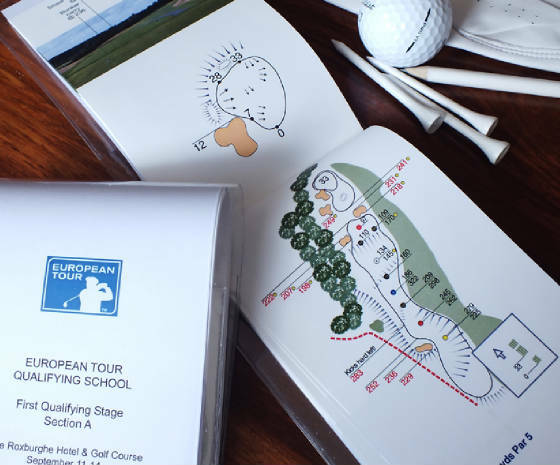 As a superb addition to any golf day, we can provide short run "special edition" guides with a unique front and back cover design along with additional space for editorial inside the book. 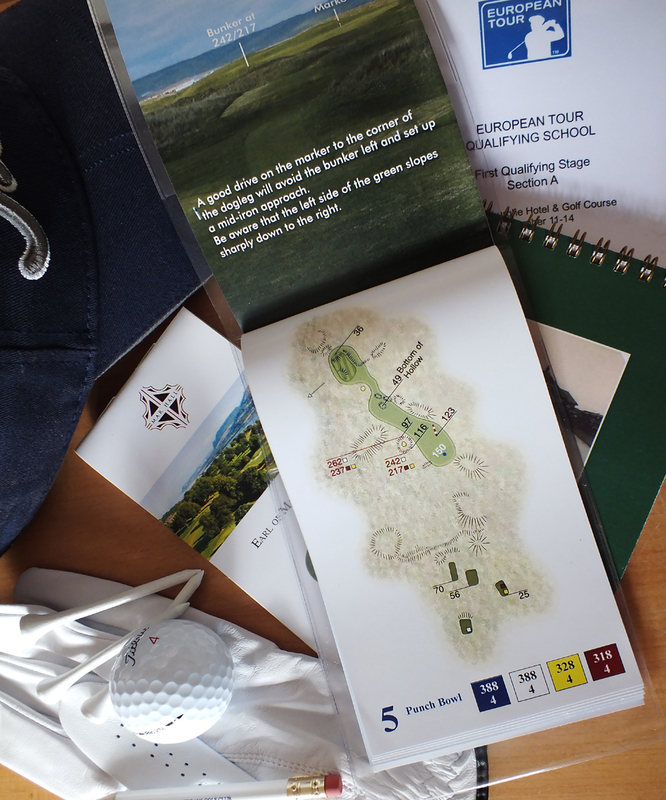 Logos can be reproduced on every page and we can even personalise a copy for every golfer taking part in the day. Is there a better memento of a golf day than that? The possibilities are endless and this represents a valuable marketing tool for any venue seeking to attract corporate events adding both value for the client and profit at the club. Please call to discuss your requirements and let us make your events even more memorable.